Srinish Aravind , Aditi Rai , Pearle Maaney , Sabumon Abdusamad , Shiyas Kareem or Aristo Suresh, who is Winner Malayalam Bigg Boss Season 1 ?. We will get the answer within few days, Malayalam version of bigg brother reaching it’s Climax. Asianet launched Bigg Boss On Sunday 24th June 2018 at 7.00 P.M, Mohanlal hosting the show. 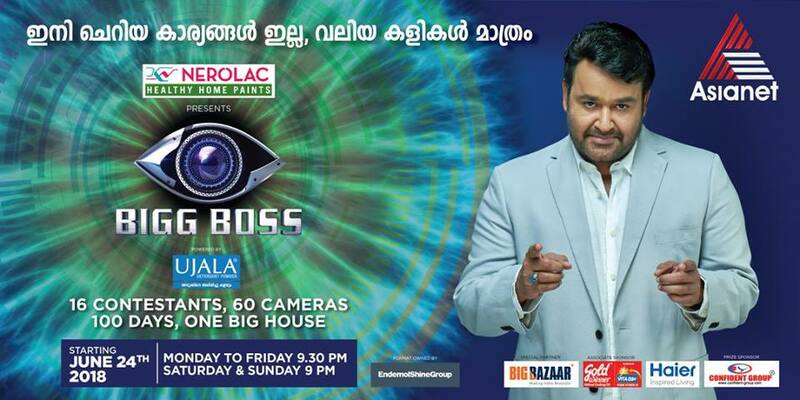 within few days it will become popular among kerala television viewers, bigg boss did decent performance at trp charts. The show started with 16 contestants, we have posted the complete details of the housemates here. Now only 5 people remaining in the house, one this this five will be the winner of the show. social media already started the discussion about the winners of malayalam bigg boss show. Sabumon Abdusamad getting tremendous support from his fans, Asabumon army almost confirmed that he will be the winner. Lot of people supporting another contestant Pearle Maaney, Aristo Suresh is another favorite contestant of the mass. Asianet planning it’s second season very soon, comedy stars season 2 will be back into that time slot. sell me the answer season 3 will be air every saturday and sunday on asianet. Hotstar streaming the latest episode of the show and it can be watch through smartphone devices. we have already posted here about the final episode will be aired sunday, 30th sepetember 2018 through Asianet and Asianet hd channels. You can also watch the repeat telecast on asianet after it’s original telecast, hotstar will stream it after the official airing. Aristo Suresh V Suresh Thampanoor popular for his performance in Action hero biju movie. He appeared in Sakahavu, Udaharanam Sujatha, Poomaram etc. Muthe Ponne Pinangalle song from the movie Action hero biju is sung by Aristo Suresh. Pearle Maaney Model, VJ and Actress Pearle Maaney is one of the contestant at malayalam bigg boss show. Srinish Aravind Another contestant from serial filed, Srinish Aravind appeared in popular tv shows. Pranayam, Ammuvinte Amma are some of the works from this actor. Sabumon Abdu Samad Tharikida show fame sabumon will be a part of the show, sabumon also appeared in some malayalam films.